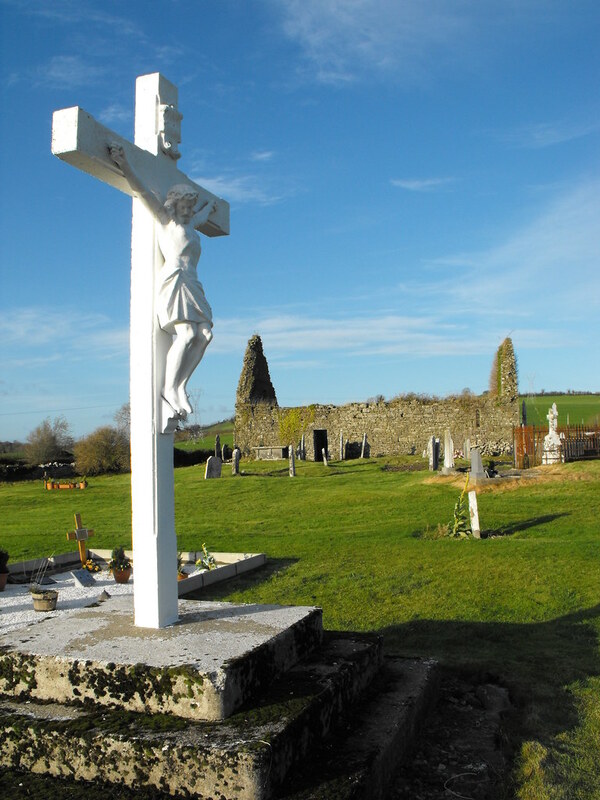 The Standing Stone: Knigh Church, Co. Tipperary. 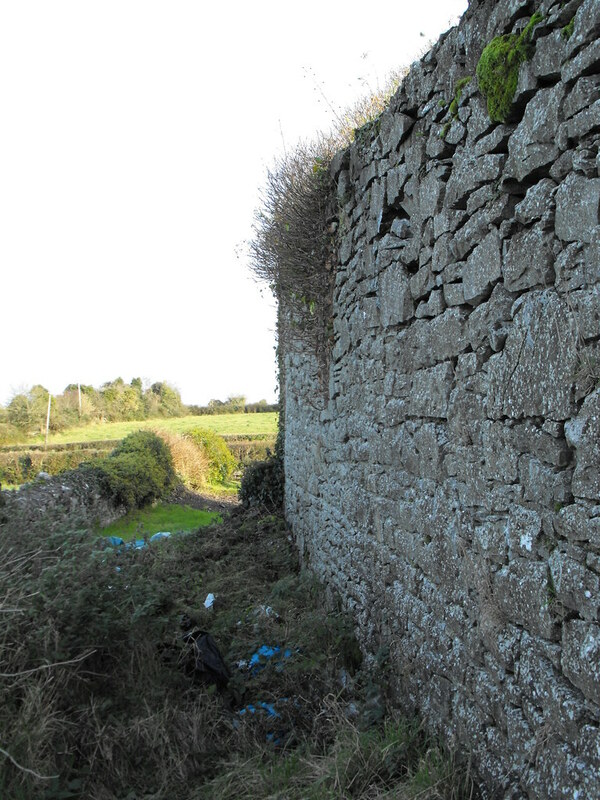 Location – Located on the R493 about 3km N of Nenagh. It’s right by the road and easy to spot. 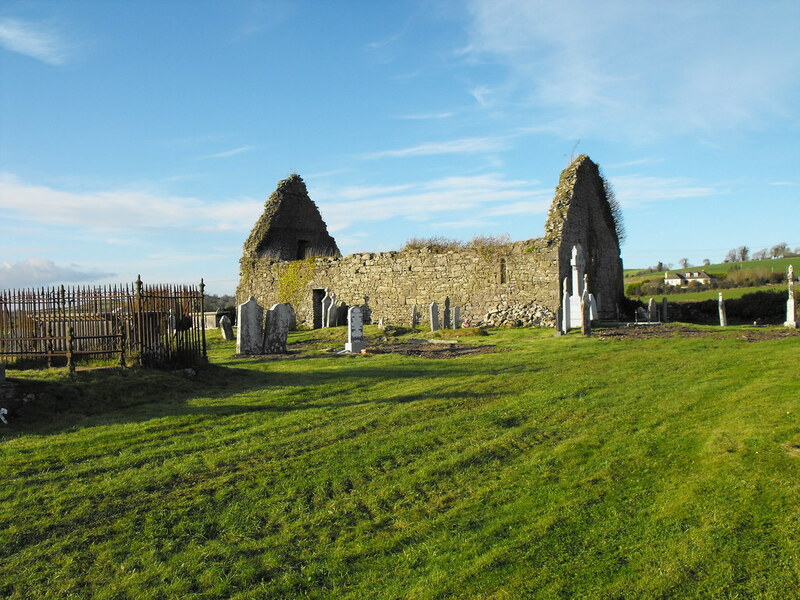 Description and History – This is quite a plain church in a very nice location. The views from here are very nice and the graveyard is well kept and the church has had partial restoration carried out on it. The church is roughly 18m long and 9m wide. 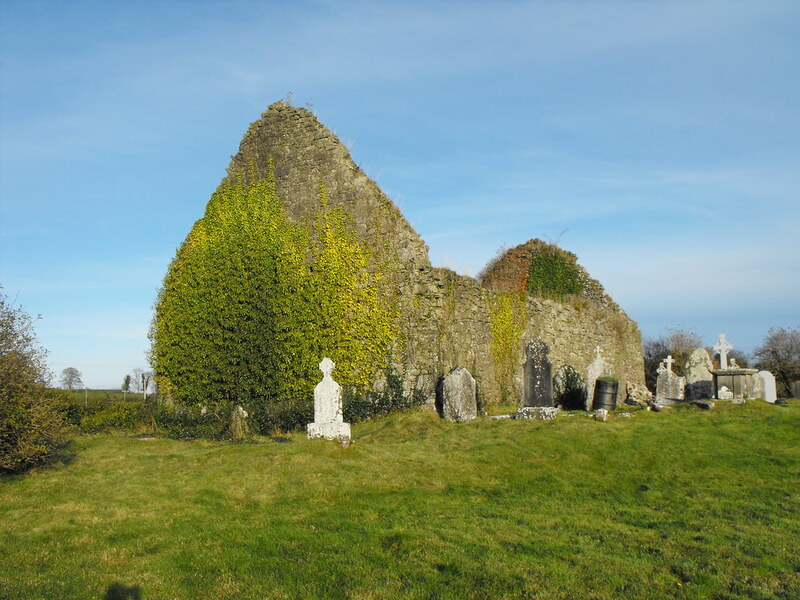 The priest’s quarters take up the W end of the church and there is a division between the nave and chancel. 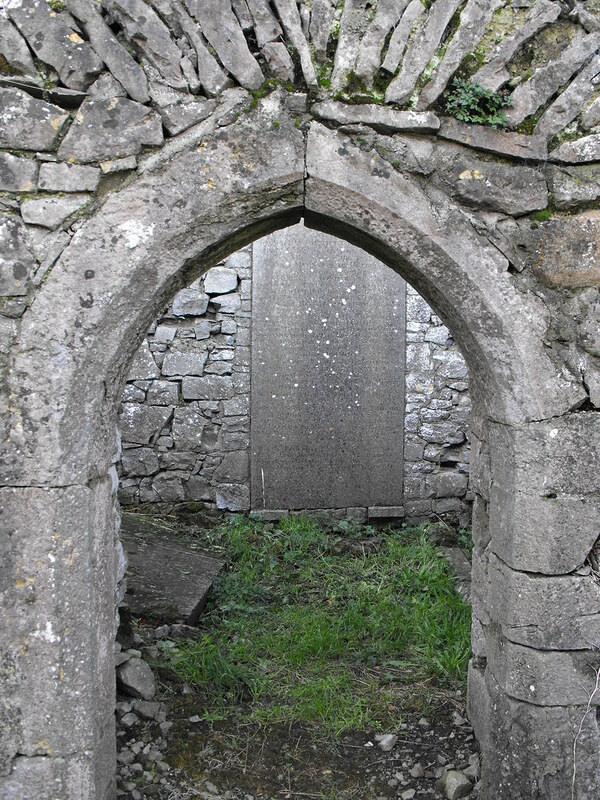 The original doorway was restructured during restoration and is not in its original form. Apart from that the restoration is quite good with original windows retained. 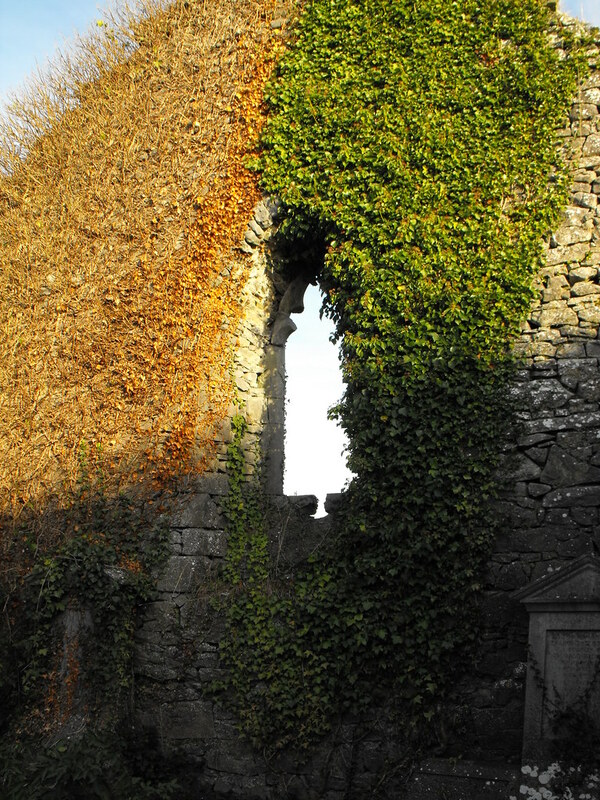 Ivy growth covers much of the church but architectural features can still be made out. Difficulty – Easy to get to and easy to get around. 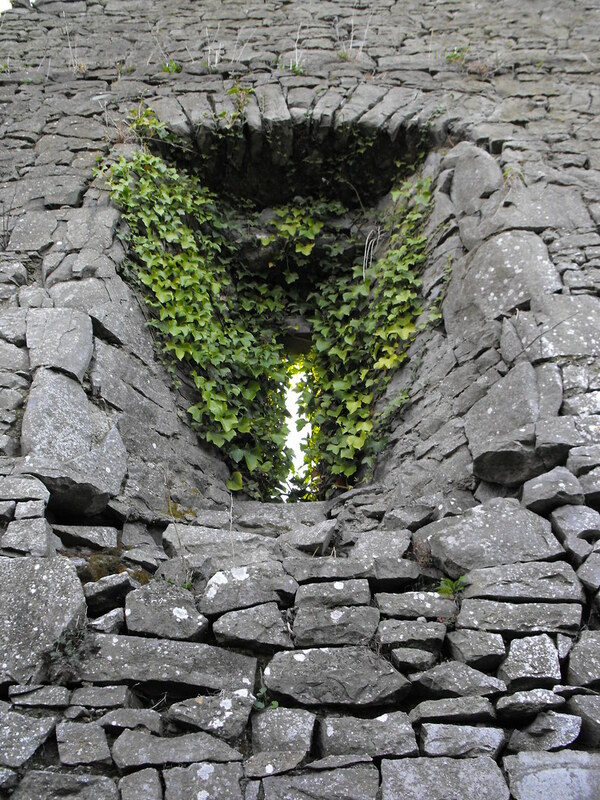 One of the highly damaged windows. 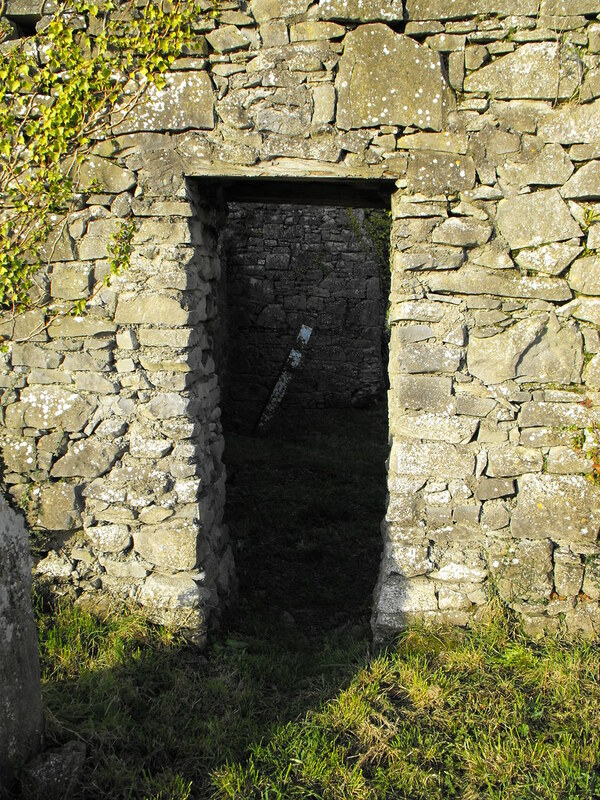 This doorway retains its original shape. This doorway was altered during restoration work and is not in its original form. A modern wooden lintel was also put in.